The English IDC dates for 2009 are ready to book now! Our eleven English IDC Programs in 2009 include many interesting features and will be conducted by our Platinum Course Director Bjorn Tackmann. The schedules and prices of our IDC Programs can be used to plan your pro training with us. We provide full details of the program which will further assist you in making your decision. Once you have chosen the program that suits you best, please use our simple online form to make your booking or to ask any additional questions you may have. 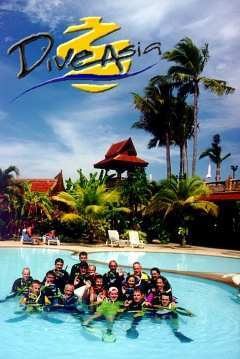 Dive Asia CDC is Phuket’s premier PADI IDC Center and has been running the most comprehensive and successful instructor training program in this area for years. 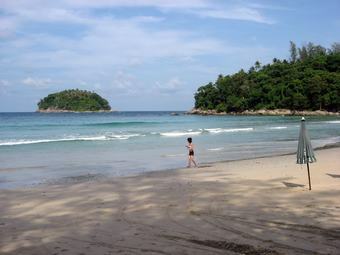 Phuket is without doubt one of the best learning environments you can find. The island offers excellent diving conditions, attracting thousands of divers every year. An international and exciting atmosphere, with a touch of Oriental adventure, warm friendly waters (close to 30 degrees Celsius), a tropical climate, beautiful beaches, and the smiling Thai hospitality, all adds to a pleasant and enjoyable stay on Phuket. To ensure that you can concentrate fully on your IDC, Dive Asia and our four Course Directors provide dedicated Instructor Training in English, German, and Japanese. So step aboard Dive Asia’s award-winning Instructor Training and start your new career now! Summer slump! Perfect weather, a flat sea, and unfortunately no Whale Sharks or Manta Rays in sight. So we have time to watch the Olympic Games in Beijing, cheer our national teams and watch Michael Phelps to become the most successful athlete of all times winning eight gold medals. Awesome! Of course, it is not completely quiet and we still spend many hours every day at the shipyard. One year has passed already since the keel-laying and in the mean while our MV Dive Asia I looks very impressive. She is getting her exterior color done and building up charisma. It’s a good feeling watching her grow. Some of you have been visiting her already and your positive comments have been recognized with great pride by the team around Benno, Oiy and Bang. Every endeavor has been made to build the boat you deserve. PADI Open Water Scuba Instructor rating after successfully completing the PADI Instructor examination. Our new friends from France, England, Dubai, Austria, Switzerland and Iran worked very intensely throughout the last few weeks to archive their ultimate goal – to become a good Diving Instructor. The Instructor Development Course became another success story because of the hard work and dedication of Course Directors Bjorn and Heinrich as well with the help of IDC Staff Instructor Nicki. 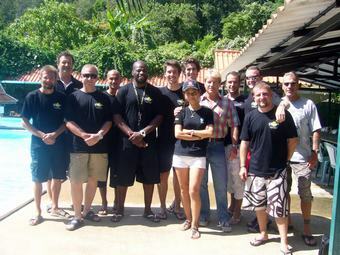 Congratulations to the freshly certified PADI Instructors from all of the Dive Asia Team.